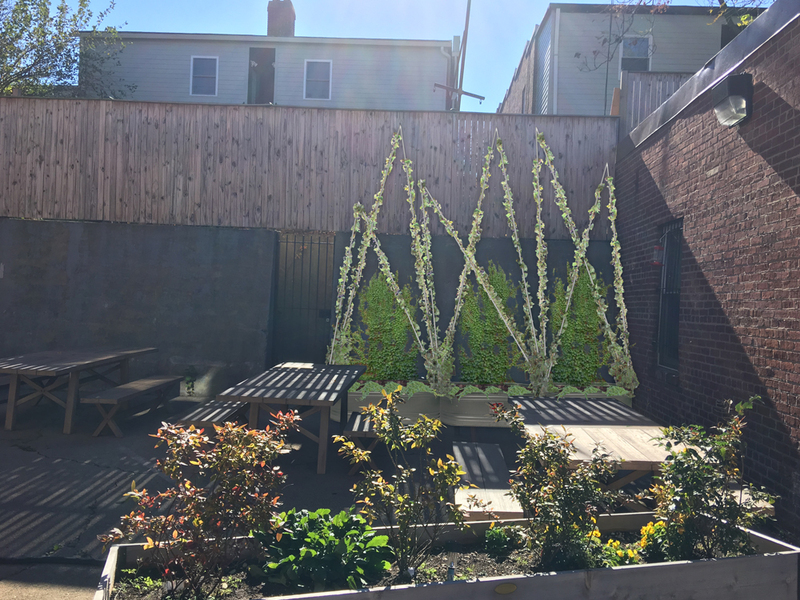 Living Alchemy was brought on to the USGBC NCRA EP voulnteer team to assess the options for introducing sustainable elements and greening the courtyard space of Calvary Women’s Shelter in SE DC. A design of steel planters and cable trellis system will be used to diminish the presence of the retaining wall with a mix of vines, some providing fruit, and other for their seasonal interest. Building on Calvary’s gardening programs, the vine planters accommodate additional plantings as well.